When H&M featured a Muslim model donning a hijab in one of its video ads in September, the news went viral as Muslims around the world celebrated the step toward inclusion taken by the second largest apparel retailer on the planet. But for some Muslim women, it wasn’t enough. “Thank you for showing us a hijabi model, H&M. It’s a great step for diversity. But you’re still not giving us the clothes -- where are the clothes?” asked Stephanie Khalil AlGhani, founder of Covertime, a fashion magazine aimed at Muslim women. AlGhani, a convert to Islam who worked in the modeling industry, is not the only fashion-savvy consumer asking that question. 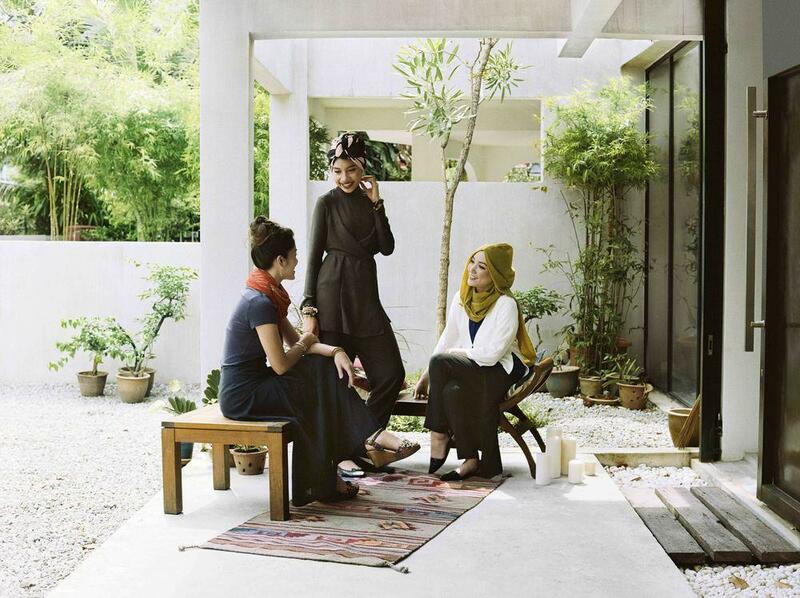 “Just because young Muslim women are very passionate about their faith doesn’t detract from them wanting to be fashionable,” said Shelina Janmohamed, vice president at Ogilvy Noor, a division of Ogilvy & Mather and billed as the world's first specialist consultancy for building brands with Muslim consumers. Janmohamed, who spoke with International Business Times from London, added that such women are desperate for retailers to offer clothing that is both stylish and helps them adhere to Islamic dictates of modesty. And that doesn’t mean selling hijabs, the head covering that some Muslim women wear to cover their hair, but looser-fitting clothes that cover more of the body rather than displaying it. The numbers point to an incredibly lucrative market: Muslims around the world spent $266 billion on clothing and footwear in 2013, according to a report on the global Islamic economy from Thomson Reuters. That figure is expected to surge to $484 billion by 2019. That, coupled with the fact that Islam is the world’s fastest growing religion -- Pew Research predicts that Muslims will surpass Christians as the world’s largest religious group by 2015 -- has some mainstream designers and retailers taking notice. DKNY was the trailblazer, launching a women’s capsule collection for Ramadan in 2014. Other designers and retailers have followed suit. In 2015, a number of designers and retailers marketed special collections during the Islamic holy month, including Tommy Hilfiger, Oscar de la Renta, Zara and Mango. The tony fashion shopping site Net-a-Porter offered a “Ramadan edit” that included a $3,200 silk crepe gown from Etro and a $2,900 Oscar de la Renta georgette caftan. Figures on how these collections have performed in terms of sales are hard to come by, says Lewis, because brands are tight-lipped about their numbers. Mango, the Spanish retailer that offered a Ramadan collection, told Fortune magazine in July that it was “pleased” with how its collection was selling. And other anecdotal evidence seems to suggest that the reception for such lines has been strong. “For example, the DKNY collection was marketed in the Middle East by the local branches there. I spoke to someone there who said that the people at DKNY central had not anticipated the response they got,” said Lewis. Some retailers are branching beyond marketing solely centered around Ramadan. 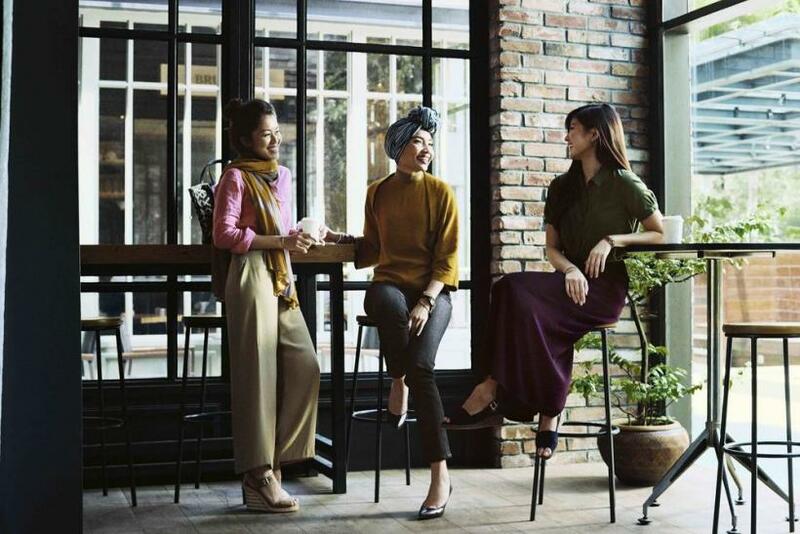 In July, the Japanese clothing retailer Uniqlo partnered with Hana Tajima, a popular Muslim fashion blogger and designer, to launch a “special modest-wear collection” of clothing that includes flowing skirts and dresses, loose blouses and even hijabs. The well-known Malaysian pop star Yuna modeled some of the clothes, which are available to shoppers in Singapore and Malaysia, mostly online. Janmohamed says that Uniqlo’s move is a sign of things to come. “It has been a trickle in the last couple of years, but we’re starting to see more of a waterfall. We’ll see more brands develop communications first -- as H&M did -- and then products next,” she said. But some women can’t wait -- and are taking things into their own hands. That's evidenced by the scores of Muslim fashion bloggers and Instagrammers who post pictures of how to style modest looks from commercially available clothes. And some are going even beyond that. “We’re seeing a lot of women setting up their own clothing lines and brands to serve their needs,” said Janmohamed. Ibtihaj Muhammad is one such example. The 29-year-old from Maplewood, New Jersey, is a member of the United States fencing team and perhaps best known for being the first Muslim woman to compete for the United States in an international sporting competition. With that high profile comes the need to attend a lot of events. Muhammad took the suggestion to heart, sketching designs, researching manufacturers, and getting a family member to invest in a fledgling company. The result: Louella, an online shop that offers everything from flowing dresses to jumpsuits to tunics in a steamlined, contemporary style. It’s been, by most accounts, an incredible success. Muhammad says that when she started selling items on the website in May of 2014, she was working with one manufacturer and was selling about 10 items on the site. That has expanded to seven manufacturers that now supply about 65 items to meet the incredibly demand. In the first year of sales, Muhammad says the company made about $250,000 in profit. 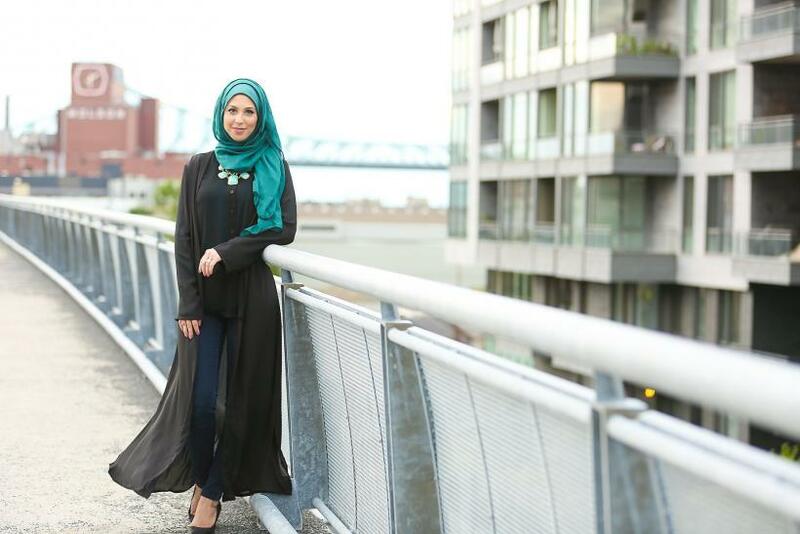 She admits that while her platform as a public figure helped with the company’s visibility, its success also speaks to the hunger Muslim women around the world have for the kind of products Louella offers. (The site ships internationally.) And since going into business, several bigger investors have approached her to grow the company at a faster pace. But Muhammad, who has her sights set on the 2016 Olympics, says that she’s declined until she can fulfill her Olympic dreams and then focus on the business exclusively. Until then, she’s just happy to do what she can to fill this market niche.